Yes. We know what women want; something to enjoy, someone to enjoy it with, and things that helps her be her very best. She likes good food, good friends, and fun. And twice a year, 12,000 women agree that the Utah Valley Women’s Expo is the place to be! What a perfect reason to sneak out for a great time with the girls. 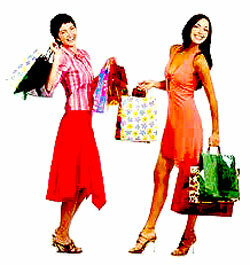 There are those great fashion shows, beauty products, home items and decor, exercise helps, seminars from nationally prominent women, money saving ideas, career guidance, scrap booking, women’s health, makeovers, hairstyling, bags, food demonstrations, gift ideas, heavenly spa samplings, door prizes, vacations, family activities, good food, friends, fun and more. You’re going to love this show. It’s about getting you away from the everyday routine – even if it’s just a temporary reprieve. So we’ll see you at the Expo.